This entry was posted in Events Past on November 21, 2018 by Nigel Parker. This entry was posted in Events Past, News on October 9, 2017 by Nigel Parker. The 2016 Summer Gathering was held on Saturday 25 June 2016 at St. Mary’s University. The day’s events started with Mass at the University’s chapel, which His Holiness Pope Benedict XVI visited during his visit to the UK in 2010. Mass was celebrated by Rev Fr John Dickson SDB. David O’Mahony, chairman of the Union spoke about his visit to Rome. Next was Tony Cole, chairman of the Parliamentary and Public Affairs Committee (PPAC). Since the last gathering the Liverpool Care Pathway has been dropped, the Physician Assisted Dying Bill was defeated in Parliament by a vote of 330 to 118. However the issue has not gone away and the BMA debated the matter again only last week and decided to maintain their opposition . Another issue is modern slavery with which Teresa May the Home Secretary (now Prime Minister) and Cardinal Vincent Nichols have been involved. The scientific section of Laudato Si the Pope’s exhortation deals with climate change. Abortion is back on the agenda and there is a Parliamentary enquiry into abortion law. The question of Genocide should be referred to the UN Security Council, while HM Government maintains that it is a matter for the courts to determine. On a positive note we had a small victory in keeping the Sunday trading laws without amendment. Last to speak was Sir Edward Leigh, President of the Union. He explained how hard it is to have a Catholic perspective on many issues which come before the House of Commons. Luncheon with wine was served in the splendid Waldegrave Drawing Room. 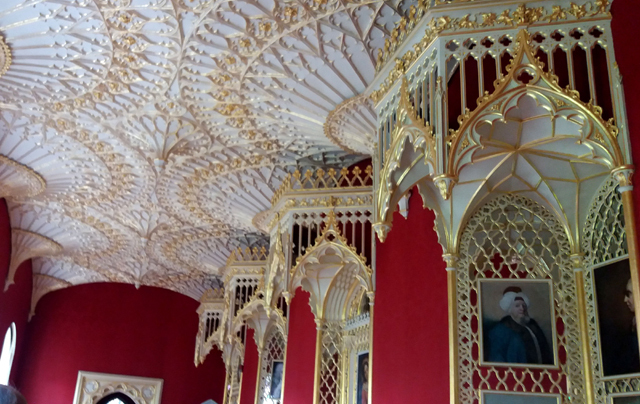 Following lunch, some of the attendees toured Strawberry Hill House, which adjoins the University’s buildings. 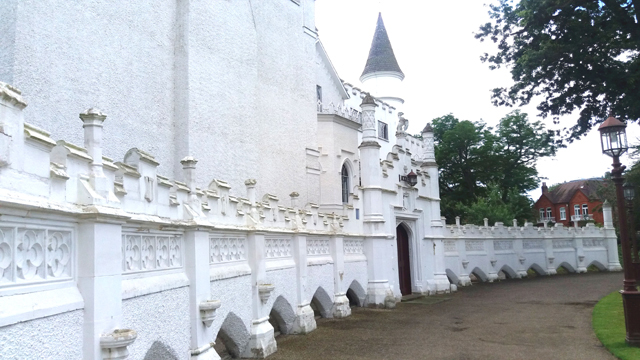 This house was owned and developed by Horace Walpole, politician, writer, collector and son of Sir Robert Walpole, Britain’s first Prime Minister. 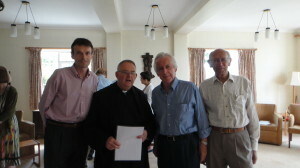 This year’s Summer Gathering was held on Saturday 27th June at St James’s, Spanish Place. The central London location enabled a higher turn out than usual with some 50 members and their guests in attendance. Mass was said by Fr Christopher Thomas our new Ecclesiastic Advisor, before the day’s conference opened. This year saw our new President Sir Edward Leigh MP attend, together with Fr Christopher both of whom helped ensure the day was fulfilling and thought provoking. Sir Edward’s reminder to us of the difficulties, which Catholic MP’s face when it comes to debates about issues relating to human life, was telling. He spoke about assisted dying and said the debate to take place in Parliament this autumn would probably see the Assisted Dying (No 2) Bill 2015-16 defeated. However a similar Bill will undoubtedly be introduced in the future with an eventual outcome that could see the legalising of some form of assisted dying. He went on to speak about both migration and trafficking and although acknowledging the need to help in both areas from a Christian perspective, recognition had to be made on the enormous pressures migrants placed on the State and the need to have some form of control despite how painful this may seem. Fr Christopher ensured we not only received a spiritual input but also a fascinating insight into his work at the Bishop’s Conference. He spoke about the political work being undertaken at the Bishop’s Conference, which included the assisted dying bill, international religious freedom, restrictions within prisons on collective worship, catholic education and human trafficking, providing much food for thought and interest in all these areas, for members. He also touched upon the Synod coming up in October and challenges around family life in today’s society. Then followed an enthusiastic question and answer session on an eclectic number of topics, and Fr Christopher dealt with all the questions raised, none of which stumped him. 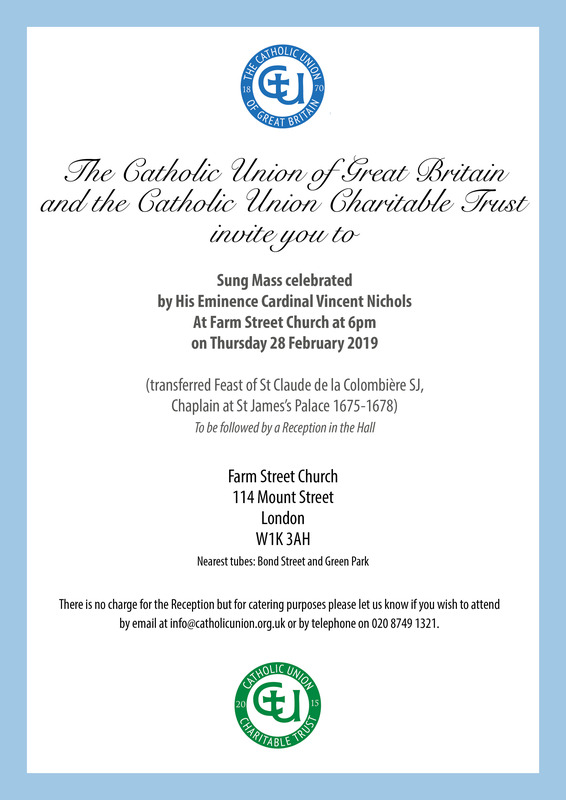 Unfortunately time did not allow us to discuss the Catholic Union and our work especially around the launch of the Catholic Union Charitable Trust (CUCT) and the very real challenges we face on increasing our membership base. 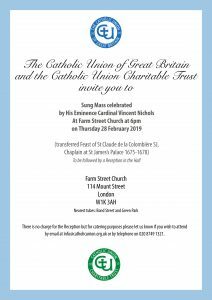 It is worth remembering back in February we formally launched the CUCT and produced the election pamphlet ‘Restoring Faith in Public Life’ which was distributed to both members and non members, together with an appeal letter asking for much needed funds. The response has so far been positive, although a follow up appeal letter will be mailed out in the summer. We continue to seek new members and will be offering free membership to Members of Parliament and anyone under the age of 25. Our programme of picking off three or four Dioceses and approaching the Bishop in each and identifying potential ambassadors in those Dioceses has started and although slow, is showing some signs of progress. I would ask for any additional thoughts or ideas members may have which we can consider and hopefully implement in the coming 12 months to increase our membership base substantially. The day was completed by all those who attended, moving to the Wallace Collection where a most enjoyable lunch was had by all, before members and their guests departed for home. Photographs of the gathering may be viewed here, with thanks to Dylan Parry, Editor, Oremus (Westminster Cathedral Magazine). This entry was posted in Events Past, News on July 21, 2015 by John Barrie. About seventy members and their guests attended a formal Dinner, held at the Royal Air Force Club, London, on Monday 10th November 2014, arranged to mark the retirement of Lord Brennan after a period of 12 years as President of the Catholic Union of Great Britain. 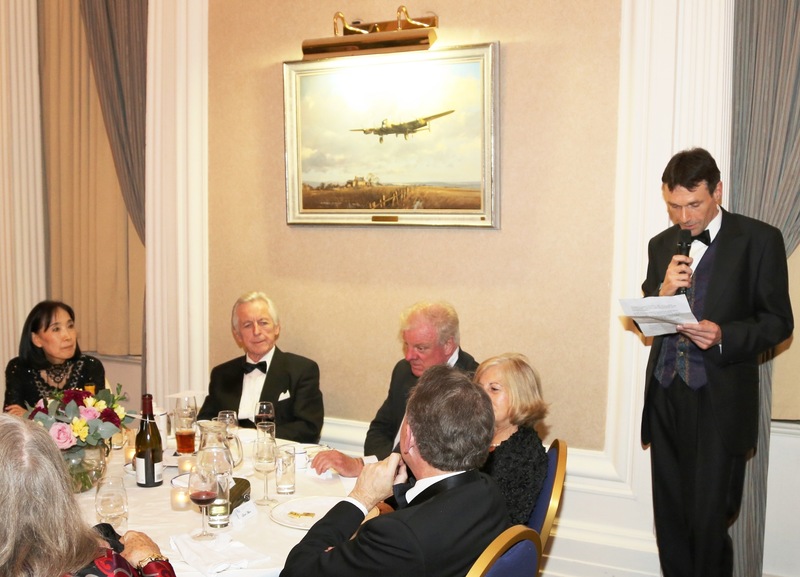 Those attending included Baroness Masham of Ilton, Lord Alton, Lord Donoughue, Lord Pendry, Viscountess Hambledon, Sir Edward Leigh and many others. 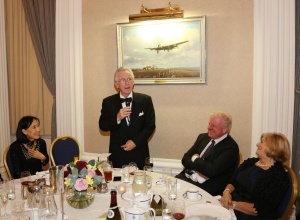 The Chairman, Mr Robert Rigby proposed a toast to Lord Brennan, who responded with an amusing and witty speech. Mr Don Maclean. entertained the company with a collection of funny anecdotes from his experience as an English actor and comedian, who inter alia appeared on the BBC television series Crackerjack and for fifteen years presented BBC Radio 2’s religious show Good Morning Sunday. Lady Brennan was presented with a bouquet by Mrs Emiko Rigby wife of the Chairman. This entry was posted in Events Past, News on December 12, 2014 by John Barrie. This year’s Catholic Union summer gathering took place at Ampleforth from Friday 25 – Sunday 27 July 2014. It was attended by some 25 Catholic Union members with a good mix of members from both the north and south of the country. This was the first time in many years that this hasevent moved beyond the Home Counties and judging by the reaction, it will not be long before it once again is taken into the regions. 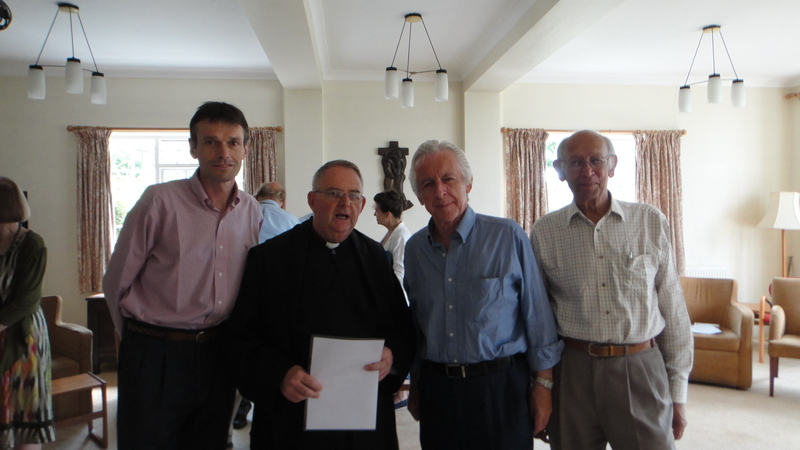 Ampleforth provided a perfect backdrop – allowing both the formal side of the occasion to proceed which included discussions on the strategy of the CU and issues of the day, as well as a spiritual element ensuring members could tap into the monastic offices of the day including Matins at 6am…. The main business was carried out on Saturday 26 July with the conference getting off to a spiritual and thought provoking start with Fr Terence Richardson OSB, the Prior, providing a talk , The Prophetic Voice The Prior highlighted the prophet as one who sees the truth and tells the truth and referred to the criticism of the current church as a sign of health. The presence of the prophetic in the secular world is a sign of a healthy society. Lord Brennan, attending his final conference as President, (he steps down in November after 12 years at the helm) provided his usual enlightening take on the issues of the day, as well as those affecting the CU. These are momentous times he said, life is changing fast and the challenges we face are complicated but not insurmountable. He talked about three key issues – Parliament & Public Life, Society Today and the Future and offered some wise council on how the CU should position itself going forward as well as ideas on increasing our membership base in an ever secular and demanding world. In the afternoon members engaged in an open discussion on the role of the CU in today’s society. 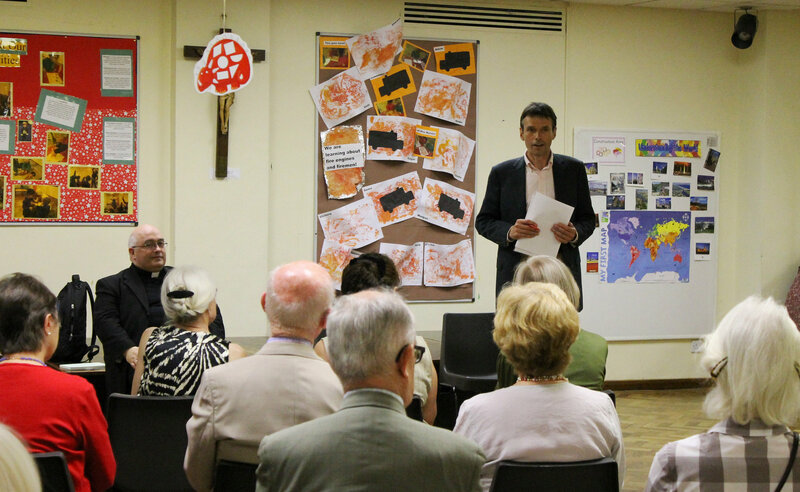 Robert Rigby, Chairman set the scene by providing members with feedback on a meeting he had held with Cardinal Nichols in April. Dr Tony Cole, Chairman of the Parliamentary Affairs Committee, summarised some of the key issues facing Catholics today and issues either currently debated or about to be on the agenda in Parliament. Both these talks set off a chain of lively discussions which also included Faith Schools and the ever increasing attack being waged against them. The day ended with a jovial dinner attended by Fr Christopher Gorst, Sub Prior. 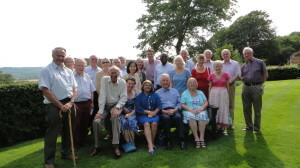 On Sunday members attended High Mass, before enjoying a final get together over coffee in the main hall with parishioners and members of the wider local community around Ampleforth. This entry was posted in Events Past, News and tagged Ampleforth Abbey, Assisted Dying, eminent Catholics, Ethics, euthanasia, faith schools, The Common Good, Westminster on July 28, 2014 by JohnTabor.